The open-source software has been created by merging elements of Intel's Moblin and Nokia's Maemo software. The two firms first announced their intention to collaborate in June 2009. Ian Fogg, an analyst at Forrester Research, said that the merger was a "bold play" and placed MeeGo into a "competitive position with Android, iPhone OS, Google's Chrome and even desktop software like Ubuntu". The technology heavyweights said that the software would run on "multiple processor architectures", meaning that it will not be confined to devices just containing Intel chips. The mobile industry tends to favour chips from UK firm Arm, rather than Intel. The launch of Meego calls into question Nokia's commitment to the Symbian platform, the world's most popular smart phone operating system which the firm bought in 2008. 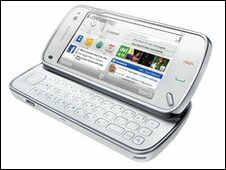 Symbian has shipped in more than 330m mobile phones, including popular phones such as the N97. The Symbian Foundation - of which Nokia is a part - announced earlier in February that it would make all of the platform's source code open source, effectively giving away billions of dollars of code. The foundation launched the first open-source release, dubbed Symbian^3, at the Mobile World Congress on Monday. At the Meego launch, Nokia's executive vice president of devices, Kai Oistamo, said that the two operating systems would co-exist, although Meego would likely be used for premium devices. Mobile World Congress runs from 15-18 February.